Impairment of aquatic species migration, and more. All of these activities cumulatively impact water quality along all reaches of the stream. 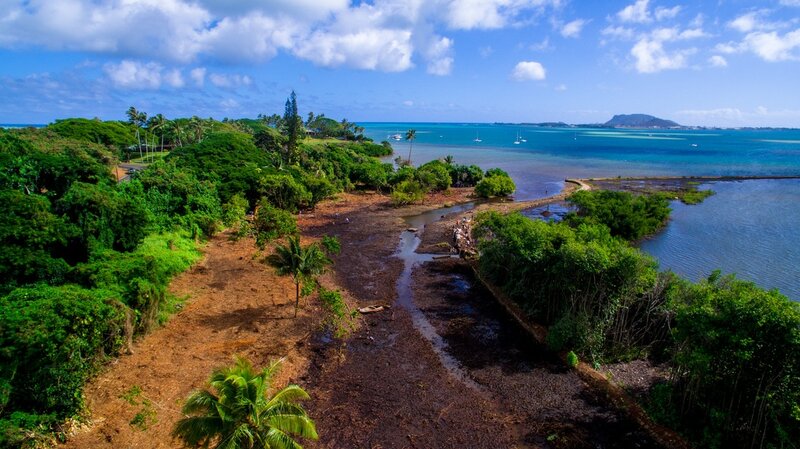 Most of Hui o Ko'olaupoko projects focus on riparian restoration to counteract these negative impacts on the natural environments of our local communities. HOK works with various landowners and agencies within Ko'olaupoko to restore the land back to its native ecosystem. HOK works with community volunteers who dedicate their time to restore and maintain some very beautiful and special restoration project sites. Click to learn more about HOK's restoration projects and how you can get involved!